Gifts from the Pirates: "You may be different, but we're all creatures. All dinosaurs have different features." "You may be different, but we're all creatures. 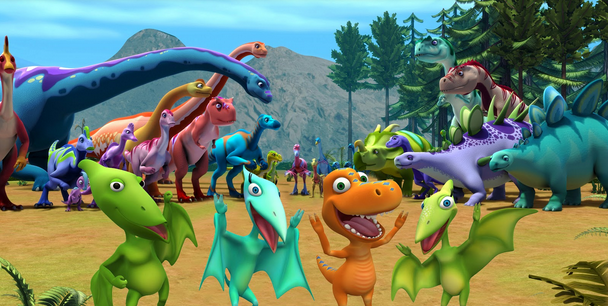 All dinosaurs have different features." The subject of 'how much time our children spend in front of the TV' seems to come up quite a bit amongst friends, it's a hot topic. Although we don't have a TV license at home the boys do squeeze in a bit of Netflix between all the other exciting things that we get up to. 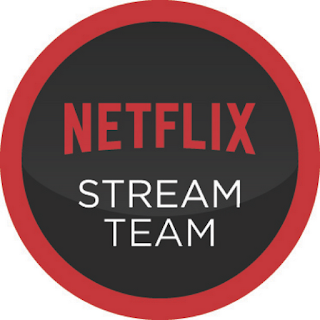 I love the fact that with Netflix we can keep an eye easier on what the boys are watching. For us, most importantly, is the fact that they are not subjected to the utter tripe on TV (including most importantly, the news). 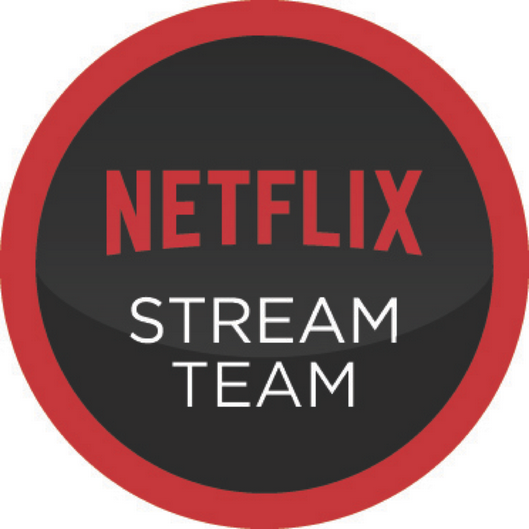 I've been really impressed recently how well Netfix and the books we are reading have been working hand in hand and it's got me asking 'is screen time really bad for your children if you are picking what they are watching?'. The blog has been a bit 'Dinosaur' heavy recently but Opeie's fascination in the subject has got me hooked. 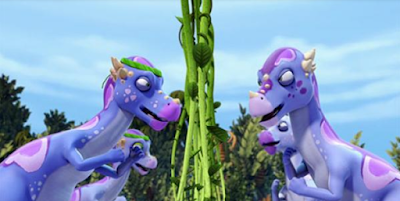 We've been reading all sorts of books and doing dinosaur activities, then a few weeks back we sat down to eat lunch and Opeie asked if there were any kids dinosaur programmes on Netflix. We had been watching the walking with dinosaurs series but I think Opeie wanted something a little less bleak so I searched 'dinosaur'. 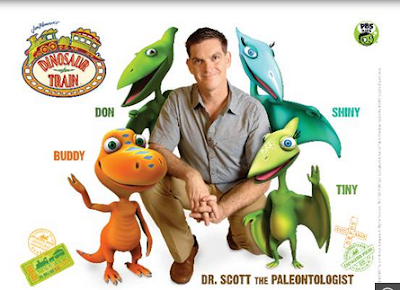 This is where we first found dinosaur train and if I am honest I have been as hooked as Opeie ever since. This show is what all kids TV should be like, fun, colourful and with fascinating educational content. We've both learnt so much about dinosaurs over the last few weeks and Opeie has been soaking it up. The last month or so of Dinosaur fun has been awesome and we've ploughed though all the books we can find in our local libraries but what has blown me away is what Opeie has picked up from the show while I've been making lunch in the afternoons. He has explained to me how to tell if a dinosaur is a theropod, which dinosaurs were from which time period (including a woman's jaw dropping when me and Opeie were playing dinosaurs in Ikea and I said 'I'll be a Giganotosaurus", to which Opeie replied "they were found in South America!)". As he stood at the counter in Holland and Barrett last week he informed both myself and the staff that Archaeopteryx means 'old feather', he is full on entertainment and his passion for dinosaurs is addictive. So is screen time really that bad? When I started to write this post it got me thinking about all the things me and Mrs M have have learnt over the years from Netflix. All the Ted talks we have watch and fascinating documentaries, including the ones that changed my diet (yes Netflix stopped me eating meat and dairy). 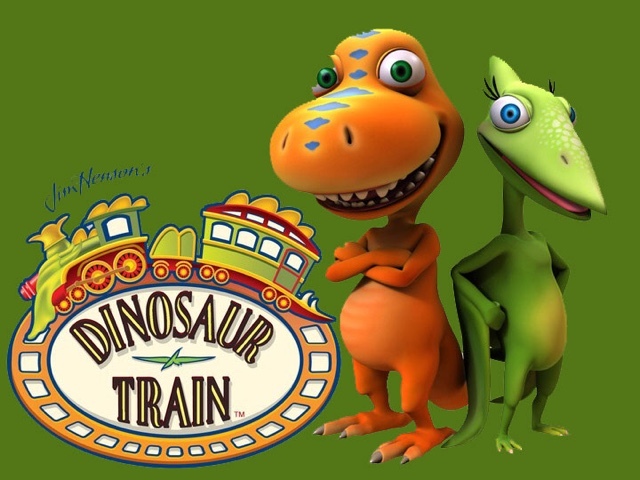 There are a huge amount of educational resources out there, if you have young children then Dinosaur train is a must, slightly older kids? Horrible histories is amazing. Switch your TV on and take full advantage of the information that Netflix is making available to you, it's worth every penny of your monthly subscription.